Dr. Sangeeta S. Chavan carried out her undergraduate work at the M.S. University of Baroda, India and received her MS in microbiology. She pursued doctoral studies at the University of Mumbai, studying the role of white blood cells in cancer, and received her PhD in Immunology/Applied Biology. She then received a research fellowship at the University of Massachusetts Medical Center to study effect of alcohol abuse on body’s immune system. Dr. Chavan completed a postdoctoral fellowship at Northwell Health to study cytokine induced genes and their role in the molecular basis of lupus. She became Assistant Investigator at the Feinstein Institutes where she began her studies on understanding the molecular basis of obesity and obesity associated complications. 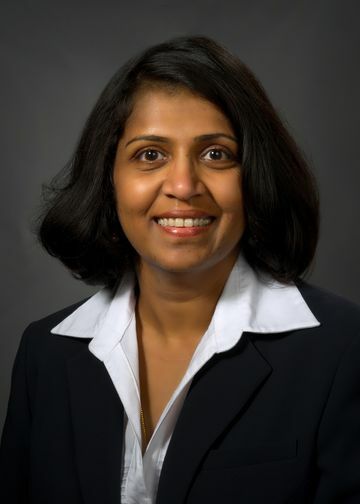 During this time, Dr. Chavan became interested in understanding the reciprocal regulation of nervous and immune systems, and devoted her research efforts to understand the mechanisms for modulating neural responses in inflammatory and metabolic diseases including sepsis, allergic lung inflammation, type 1 diabetes, and type 2 diabetes. The major focus of Dr. Chavan’s research is in the newly emerging field of Bioelectronic Medicine, a new discipline that takes advantage of the body’s neural network to treat disease. The main focus of Dr. Chavan’s studies, pursued together with Dr. Kevin Tracey, is to develop fundamental knowledge about the neuroanatomical pathways and neural codes in the vagus nerve that underlies its regulation of the immune responses. This neural regulation is responsible for maintaining immunological homeostasis during health and disease. Using cutting edge techniques, data analysis modeling, and various animal models of inflammatory diseases, these studies aim to develop a detailed understanding of the molecular, anatomical and physiological pathways that regulate the communication between nervous system and immune system. Another focus of Dr. Chavan’s studies is to develop targeted therapeutics for the treatment of long-term effects of inflammatory diseases. Specifically, she is interested in understanding the role of HMGB1 in mediating late sequelae of inflammatory diseases. Her studies in collaboration with other Feinstein investigators have demonstrated that a single exposure to inflammatory disease conditions, such as sepsis, mediates cognitive and immunological impairments in sepsis survivors, and HMGB1 plays a major role in mediating cognitive decline. She is further interested in mechanisms that mediate the inflammatory response and how neural activity can be targeted to prevent complications in chronic inflammatory conditions. Dr. Chavan is actively engaged in studies of inflammatory mediators in the pathophysiology of Type 1 and Type 2 diabetes. She discovered that an adipocyte-derived factor, PEDF, stimulates inflammation in experimental diabetes. Using high throughput screening, her studies identified small molecule inhibitors that attenuate PEDF mediated inflammatory responses and alleviate disease severity in experimental models of Type 1 diabetes. She is currently developing experimental therapeutic strategies for treatment of metabolic disease. Yang H, Wang H, Ju Z, Ragab AA, Lundbäck P, Long W, Valdes-Ferrer SI, He M, Pribis JP, Li J, Lu B, Gero D, Szabo C, Antoine DJ, Harris HE, Golenbock DT, Meng J, Roth J, Chavan SS, Andersson U, Billiar TR, Tracey KJ, Al-Abed Y. (2015) “MD-2 is required for disulfide HMGB1-dependent TLR4 signaling.” J Exp Med. 2015 Jan 12;212(1):5-14. Lu B, Kwan K, Levine YA, Olofsson PS, Yang H, Li J, Joshi S, Wang H, Andersson U, Chavan SS, Tracey KJ. (2014) “Alpha 7 nicotinic acetylcholine receptor signaling inhibits inflammasome activation by preventing mitochondrial DNA release.” Mol Med. 2014 Aug 14;20:350-8. Chavan SS, Tracey KJ. (2014) “Regulating innate immunity with dopamine and electroacupuncture.” Nat Med. 2014 Mar;20(3):239-41. Lu B, Antoine DJ, Kwan K, Lundbäck P, Wähämaa H, Schierbeck H, Robinson M, Van Zoelen MA, Yang H, Li J, Erlandsson-Harris H, Chavan SS, Wang H, Andersson U, Tracey KJ. (2014). “JAK/STAT1 signaling promotes HMGB1 hyperacetylation and nuclear translocation.” Proc Natl Acad Sci U S A. Feb 25;111(8):3068-73. Lu B, Nakamura T, Inouye K, Li J, Tang Y, Lundbäck P, Valdes-Ferrer SI, Olofsson PS, Kalb T, Roth J, Zou Y, Erlandsson-Harris H, Yang H, Ting J P-Y, Wang H, Andersson U, Antoine DJ, Chavan SS, Hotamisligil GS, Tracey KJ. (2012) “Novel role of PKR in inflammasome activation and HMGB1 release.” Nature. Aug 30;488(7413):670-4. Chavan SS, Huerta PT, Robbiati S, Valdes-Ferrer SI, Ochani M, Dancho M, Frankfurt M, Volpe BT, Tracey KJ, Diamond B. (2012) “HMGB1 Mediates Cognitive Impairment in Sepsis Survivors.” Mol Med. 2012 Sep 7;18:930-7. Olofsson PS, Katz D, Rosas-Ballina M, Levine YA, Ochani M, Valdés-Ferrer SI, Pavlov VA, Tracey KJ, Chavan SS. “α7nAChR Expression in Bone-Marrow Derived non-T cells is required for the Inflamamtory Reflex.” Mol Med. May 9;18(1):539-43.